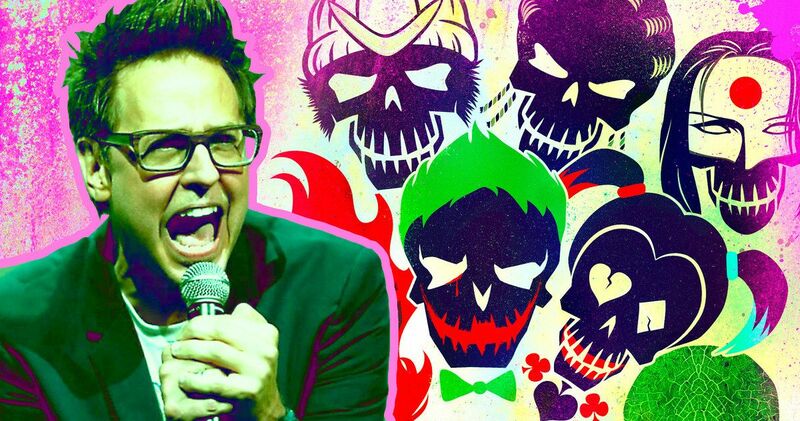 As expected, James Gunn is extremely close to committing to direct Suicide Squad 2. He is currently in talks with Warner Bros. to take on the project. The move was expected, as the studio brought on the director to write this follow up to the 2016 hit blockbuster. It will be his first time in the director’s chair since helming Guardians of the Galaxy Vol. 2 for Marvel in 2017. James Gunn was famously fired from Guardians of the Galaxy Vol. 3 last year, after a number of old tweets resurfaced that joked about a slew of inappropriate topics. While Gunn and Marvel tried to have the filmmaker reinstated, Disney decided they didn’t want him involved with the company any longer. It wasn’t long before DC and Warner Bros. came calling, hiring Gunn to write the Suicide Squad sequel script. Warner Bros. has announced that the title is officially The Suicide Squad. This isn’t really a sequel. It will be a reboot that brings in mostly new characters, with open space for a few to return from David Ayer’s first outing. In all likelihood, Margot Robbie will be back as Harley Quinn, and we could see Will Smith reprising his roll as Deadshot. But it sounds like everyone else is out. Related: Leto May Not Do Suicide Squad 2 If Gunn Directs, So What’s Their Beef? The Suicide Squad is getting the same exact platform release as the original, and will arrive in theaters August 6, 2021. The quasi-sequel will be James Gunn’s next directorial effort. DC is considering this a ‘relaunch’ of the franchise brand, and it’s unclear if this will take place in the same old DCEU that housed the first one. The original followed Deadshot, Harley Quinn, the Joker, Captain Boomerang and Killer Croc, some of which were forced to form a secret government squad of mercenary soldiers. If they lived through their mission, they would get some time knocked off their jail sentence. James Gunn is planning to take his script in a whole new direction, but it’s unclear exactly what that means at this time. It’s possible that this could be R-rated, like DC’s upcoming standalone Joker movie starring Joaquin Phoenix. It will feature mostly new characters and actors. The movie will very much be rooted in James Gunn’s personal vibe as a filmmaker, so it could adhere close to Guardians of the Galaxy. Charles Roven and Peter Safran are producing the movie, with Zack Snyder and Deborah Snyder coming aboard as executive producers. It was also announced that The Batman will be released in the summer of 2021, arriving in June, and before that, the newly announced DC Super Pets will hit screens in May. It will be a big year for DC, and it doesn’t sound like any of these movies will fit into the DCEU landscape as perviously laid out. What does that mean for Wonder Woman and Aquaman? That’s too early to tell, but DC seems to be shaking things up, and moving their pieces all over the board. Ben Affleck is officially out as Bruce Wayne, with a new actor being sought to replace him in The Batman. There is no word on whether or not The Flash movie is still happening with Ezra Miller. And no one has heard a peep about Green Lantern Corps.